Like Saint Therese, we do small things well to make a big difference. St Theresa’s is a Roman Catholic School. Its whole School Community, through the general school programme will be exposed to religious instruction and observances. The School has the right to live and teach the values of Jesus Christ as they are expressed in the Scriptures; and in the practices, worship and doctrine of the Roman Catholic Church. The whole school community includes the pupils, parents and teachers and all others who have connection with the school. To bring together all facets of school life in the light of the Gospels. 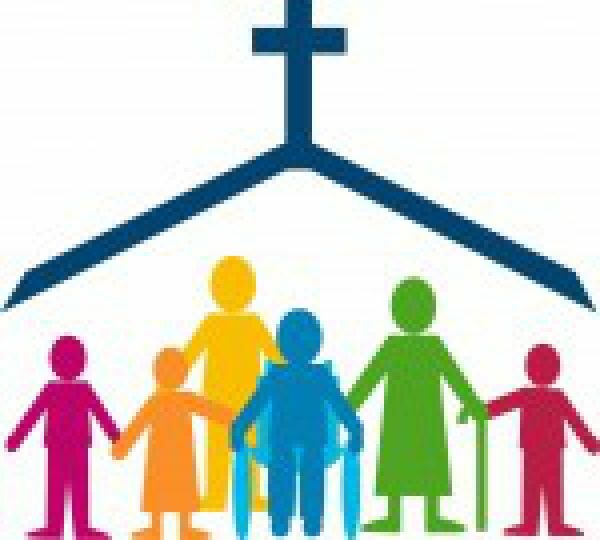 To nurture and encourage a Christian way of life in all pupils. To provide opportunities for the pupils to learn about the beliefs, and take part in the practices and observances of the Catholic Church. Be provided a systematic and structured course in religious education. Have opportunities to take part in daily prayers. 1.1 Fundamental to integration is the Special Character of the school. 1.3 In a Catholic school the Special Character is also known as the Catholic Character. This is not something simply “added on” to what would otherwise be a secular State school. Nor does it merely refer to Religious Education, ceremonies and observances. The Catholic Character actually provides the framework within which the whole school curriculum is delivered; it is, in fact, integral to everything that takes place in the school, or on behalf of the school, and its community. Properly observed and practised it also provides a climate of hope, inspiration and service for all members of the school community. Prayer, a loving conversation with God, is at the heart of Christian faith. Christians are invited to pray as Jesus prayed, to call God “Our Father”. Blessing – we bless God who first blesses us. Adoration – we who are creatures humbly acknowledge God, our Creator. Petition – we ask God for his Kingdom to come, to forgive our sins, and for all our spiritual and material needs. Intercession – we pray to God for others. Thanksgiving – we thank God unceasingly for everything. 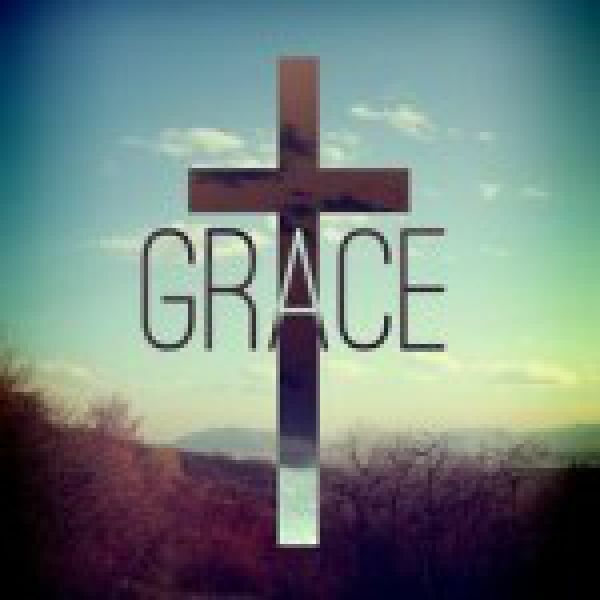 Praise – we praise and glorify God for His own sake because He is God. 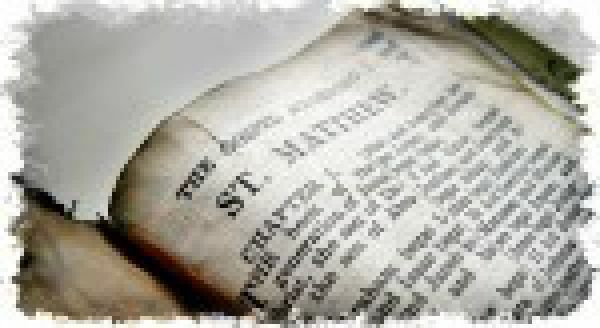 Liturgical – when the Church prays using a rite of Christian prayer e.g. Divine Office or Holy Mass. 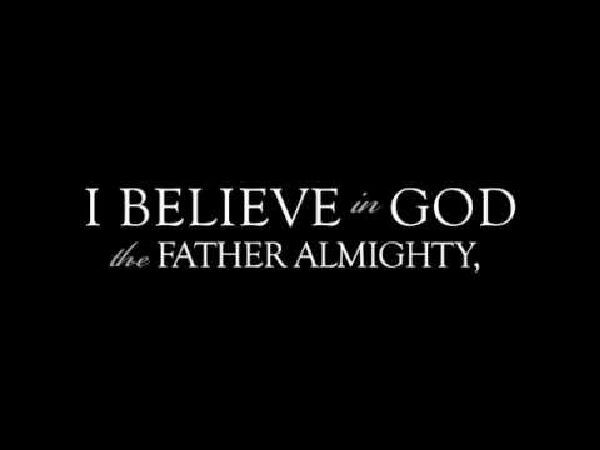 Devotional – when Christians unite themselves to God through Christ by means of Christian prayers and devotions e.g. morning prayers or praying the Stations of the Cross. 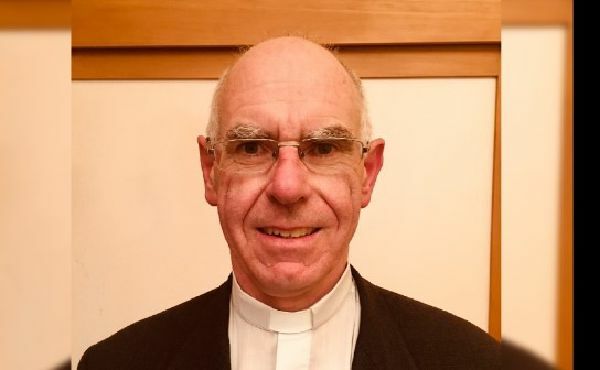 The chief priest of the diocese (the word derives from the Greek word episcopus meaning an overseer) who shares with priests their general ministry but in a senior leadership role within a diocese. 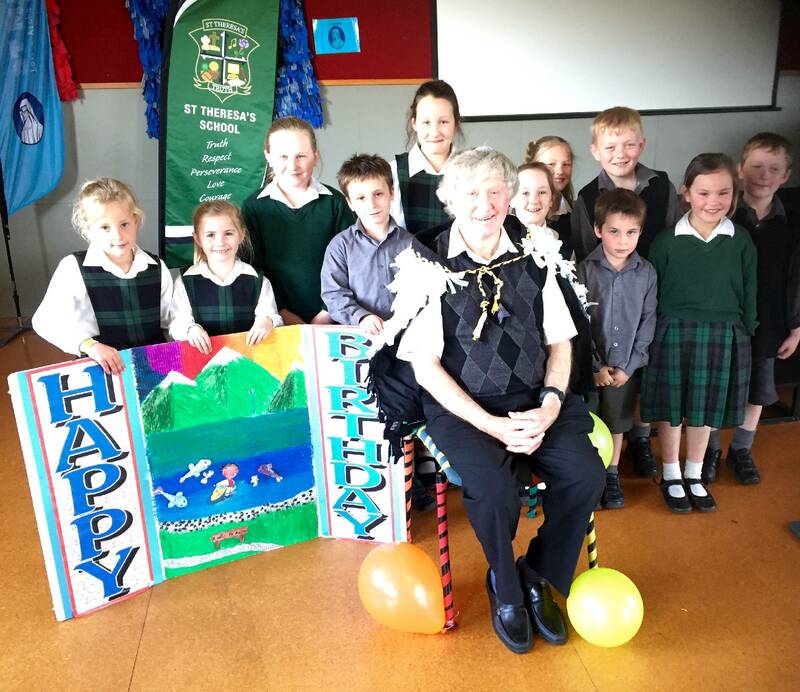 He fulfils the pastoral roles of teacher and Shepard. The Bishop of our Diocese is Bishop Michael Dooley. The term is understood in a number of ways, ‘Catholic’ comes from the Greek term meaning ‘universal’ or ‘world-wide’. So that the term refers to a communion of churches who are linked especially through the Bishop of Rome (the Pope). Sometimes called the ‘Roman Catholic Church’ for that reason. 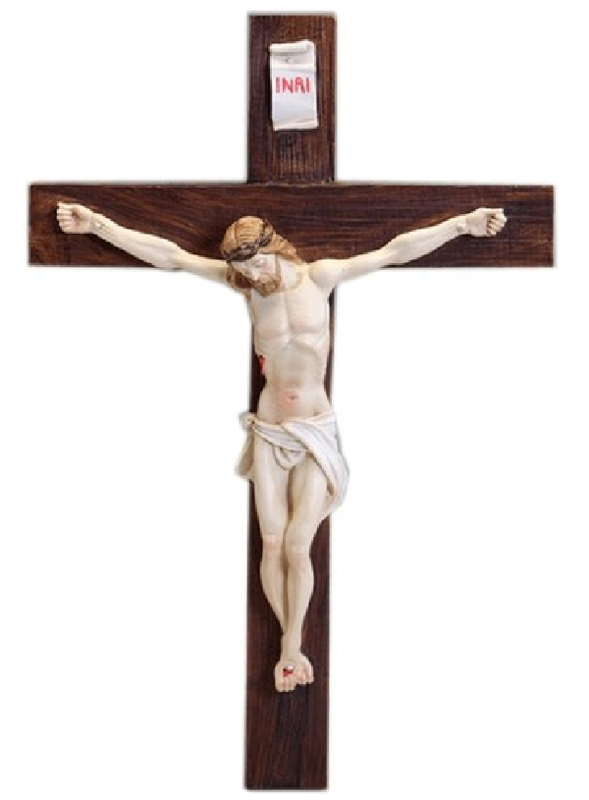 A cross with the figure of the crucified Jesus upon it. 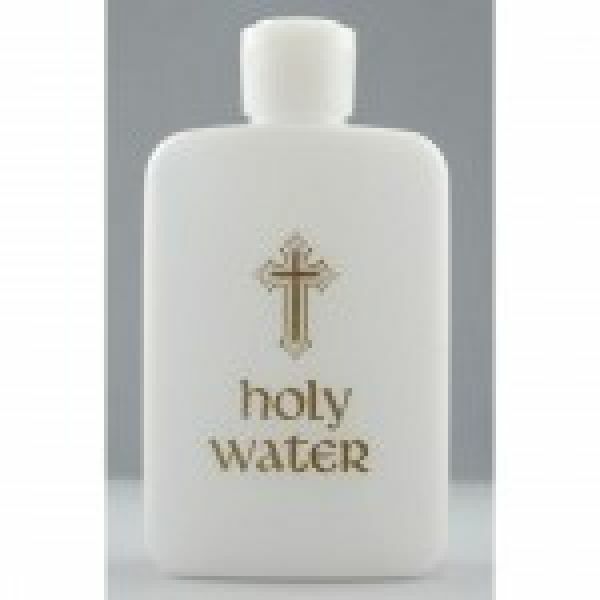 Used by Catholics to bring to mind the suffering of Christ. From the Greek word meaning ‘thanksgiving’; the term used to name the sacrament popularly called the ‘Mass’. Sometimes the term is used to describe consecrated elements received in communion. The gift of God’s love and help which is given to humankind freely, without any previous efforts on our part. 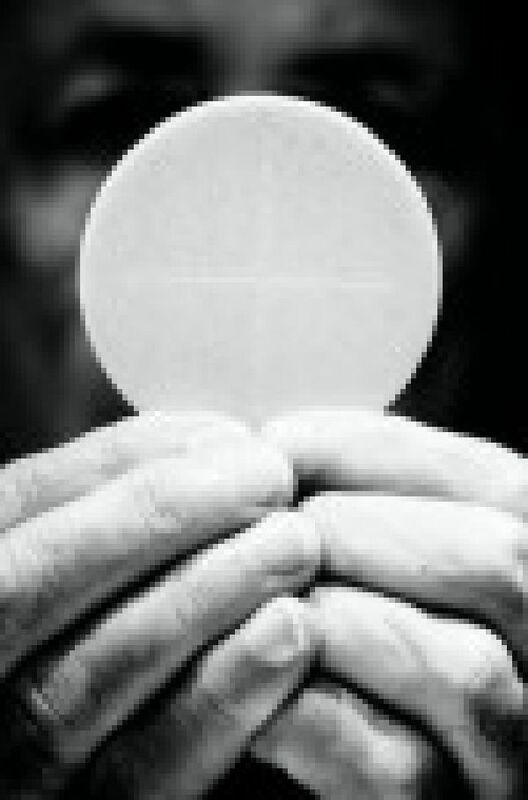 The wafer of consecrated bread which Catholics receive at Holy Communion. It is usually round and thin for convenience, and there are two sizes – the larger is used by the priest at the altar. 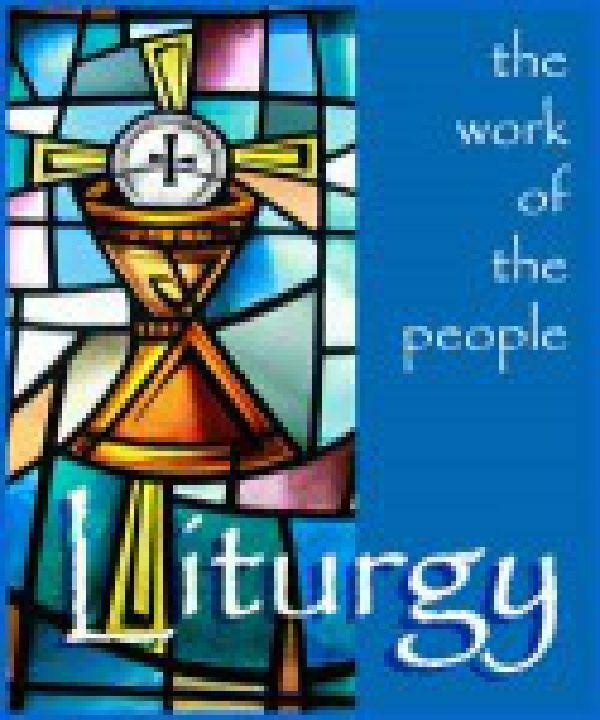 From the Greek words meaning, literally ‘the work of the people’; it is used in the Christian Churches for public, formal acts of worship. A smaller geographic region in each diocese, with its own priest. 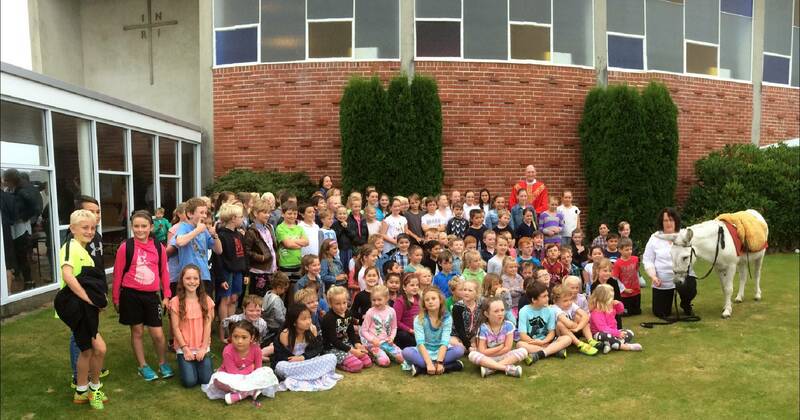 Our St Theresa’s Parish has Father Vince and Father Keyes residing in the Presbytery located beside the school. The Sacrament of Penance (or Sacrament of Reconciliation or Confession) is for spiritual healing. Catholics believe Jesus left the Sacrament of Penance because only God’s grace can heal a wounded soul. After you confess your wrong-doings, the priest gives you a penance to perform. 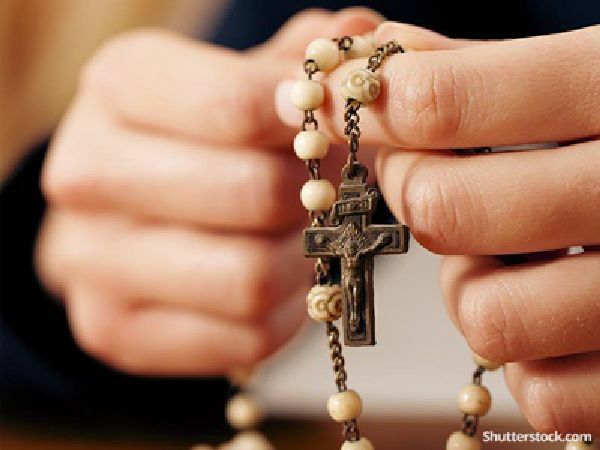 This may be doing something nice for others and/or a set of prayers, such as saying the Our Father or the Hail Mary, a certain number of times. 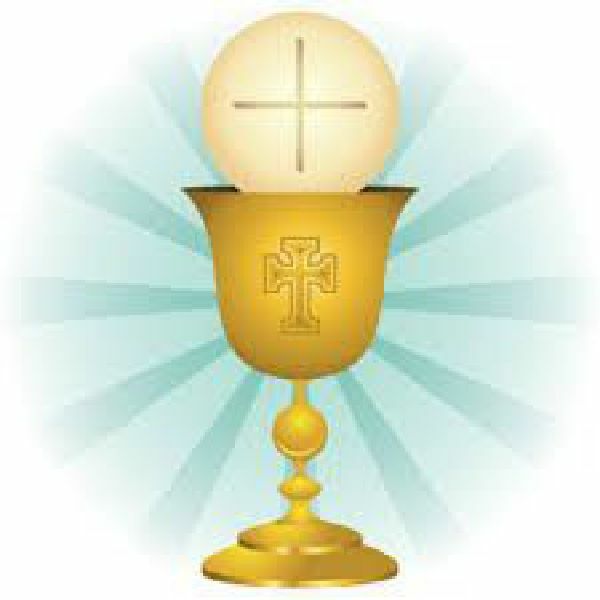 Of all seven sacraments the Holy Eucharist or Holy Communion is the most central and important to Catholicism. The Holy Eucharist is food for the soul, so it’s given and eaten during Holy Communion at the Mass. When you receive Holy Communion, you’re intimately united with Jesus Christ — he literally becomes part of you. Also, by taking Holy Communion, you express your union with all Catholics who believe the same doctrines, obey the same laws, and follow the same leaders. 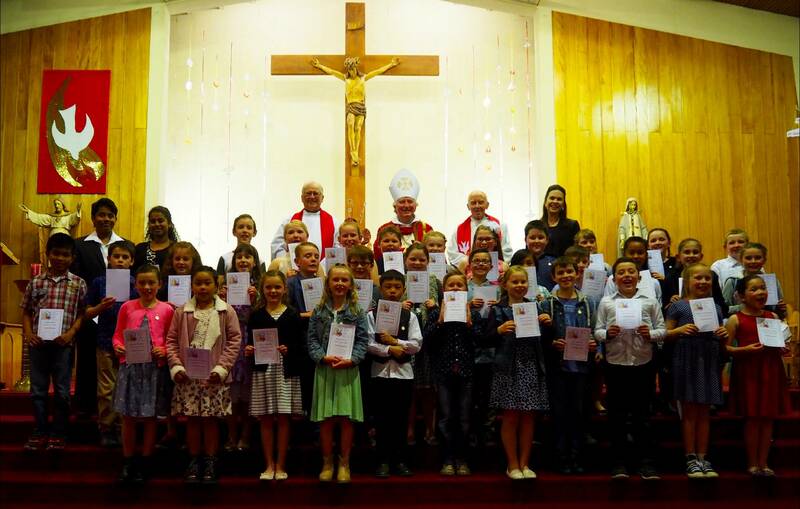 When boys and girls make their First Holy Communion, it’s a big occasion for Catholic families. Like their Baptism, the day of First Communion is one filled with family, friends, and feasting after the sacred event has taken place in church.